acquired in the areas in which we specialize. We invite you to expand your horizons. Summary of a 2.5 year project (2016-2019), financed with Interreg CE funds implemented in partnership with 11 partners from Italy, Austria, Germany, Hungary, Slovenia and Poland. The aim of the project was to build cooperation between regions from Central Europe with high development potential in the area of ​​intelligent engineering and rapid prototyping technologies. we organized a session on Industry 4.0 at the Impact CEE conference, etc. We have also managed to build synergies with our other TTTEA project (Erasmus +) to ensure the continuation, maintenance and expansion of the e-learning platform, we have also managed to establish very good contacts with interesting partners, which are also continued after the project has already resulted in a new project (S3HubsinCE ). 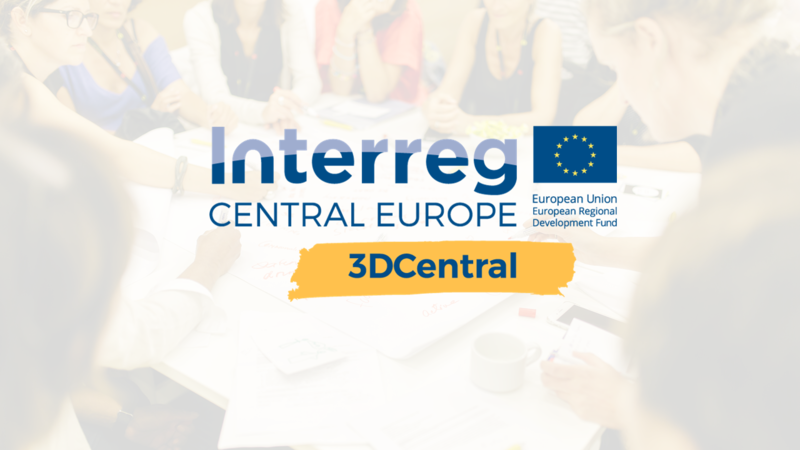 As part of international 3D Central and TTTEA projects, we have prepared on-line training in intelligent engineering and rapid prototyping (3D Central) and technology transfer (TTTEA). Increase your knowledge and qualifications. Waiting for you: 5 training departments, 15 training modules and 46 thematic lessons. The use of courses is possible after logging in. The courses are available in English. The courses were developed by a joint effort of the project partners: Frauenhofer Institute and Stuttgart Region – Germany, Fabrica Intelligente Lombardia Cluster and South Tyrol Regional Development Agency – Italy, Campus 2 University of Technology and Evolaris – Austria, Technology Park in Lubljana and Pomurian Technology Park – Slovenia , Pannon Business Network – Hungary and Krakowski Park Technologiczny sp. Z o. O and Cracow University of Technology – Poland. We monitor video games market in Poland in cooperation with news and industry portals Gry-Online and Onet. Every year, we publish a study report in Polish and English. The publication is updated year by year to include new, current issues and problems. This is one of the best available sources of knowledge about the Polish gaming industry. Report on the condition of the robotics industry in the Malopolskie voivodship in 2017. This is the result of the work of experts – business representatives – of both startups, SMEs and large companies, science and administration. 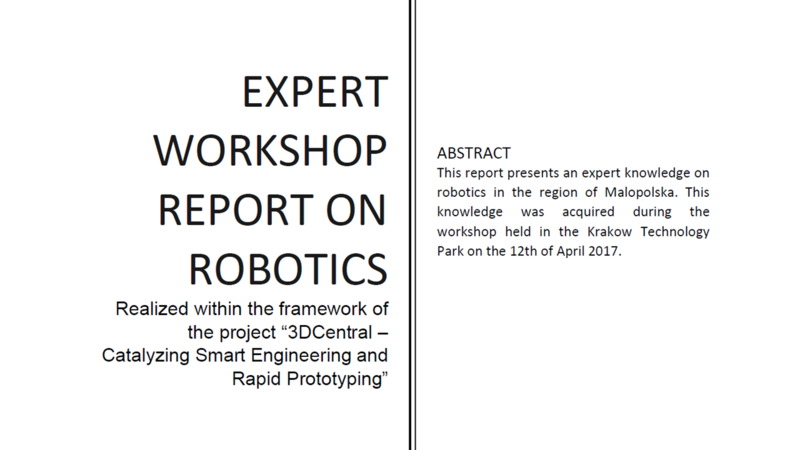 Experts’ workshops included, among others SWOT analysis on robotics in Małopolska, identification of new interesting robotics initiatives, information on available sources of project financing at the national level and development of recommendations for supporting the robotics sector. 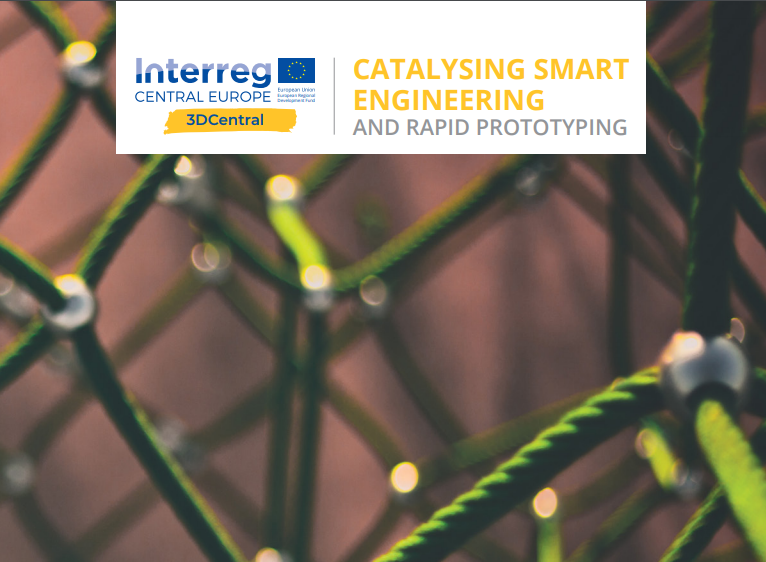 The report was developed by the Kraków Technology Park as part of the “3DCentral Catalyzing Smart Engineering and Rapid Prototyping” project of Interreg Central Europe. The aim of the project implemented in 2015-2018 was to build cooperation between regions in the area of industry 4.0. 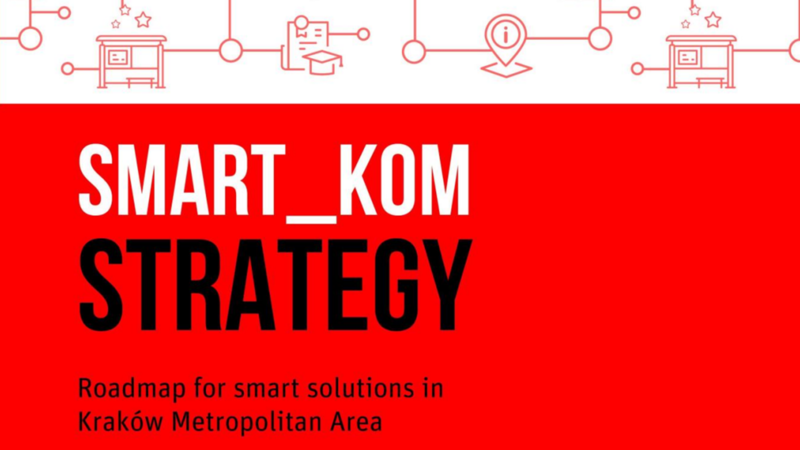 The smart city strategy for Kraków and the Kraków Metropolitan Area was created as a result of meetings, analyzes, discussions and study visits conducted in 2014. The proposal draws widely from smart city solutions tested in similar cities around the world. It is a joint project of the Kraków Technology Park, the Lesser Poland Voivodship, the City of Kraków, the Virium Forum in Helsinki and the Technical University in Vienna.